Dean Brody at the 2014 Juno Awards. The 2014 Juno winners were honored Sunday, March 30 during the Juno Gala Dinner and Awards. 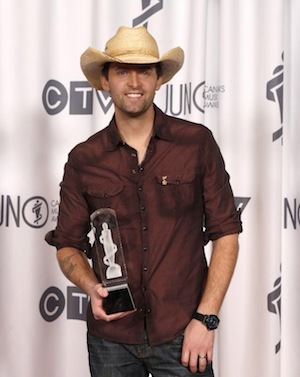 Dean Brody received the Country Album of the Year Award for his Open Road release Crop Circles. Other winners throughout the evening included Serena Ryder picking up the Artist of the Year honor, and Brett Kissel earning the Breakthrough Artist of the Year honor.